Our body is designed to sleep several hours every night, in order to recover from daily stress and strains. People who can’t sleep usually feel very tired whole day and if you found yourself in such position you know that it might not be easy trying to compensate lack of sleep taking afternoon nap. Too much sleep is also problematic and your body won’t feel good about it. Of course, if you haven’t slept well several days in a row during the week you will want to balance that sleeping longer on weekend. Some people may react in the same manner when facing some intense stress, while others could sleep too much for sheer lack of self-discipline. In most cases, these conditions affect your sleep only temporary but there are several diseases associated with too much sleep as well. 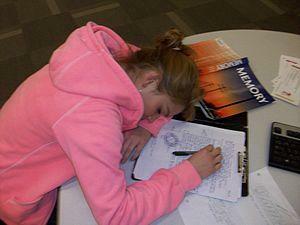 Sleep apnea and narcolepsy are probably the most serious problems that may lead to oversleeping. People diagnosed with sleep apnea have troubles with their breathing during the sleep. Although these patients may have slept for 10 hours, breathing problems affect their sleep, causing poor sleeping quality, tiredness and make them slow all day. As soon as these people start to relax while sleeping, the muscles in their throat also relax, provoking sudden stop of airflow and the person wakes up gasping for air. This process repeats several times every night and therefore sleep apnea patients can’t get proper rest at night. Many people are not aware that they have sleep apnea because they can’t remember they wake up for a second because they didn’t have enough breath. Patients usually tend to fall asleep, regardless the place they are, which may be a problem if a person drives or works with some machinery. This, along with heavy snoring and morning headaches may indicate sleep apnea. This problem is commonly found in people with excess weight, so losing several pounds may be beneficial. This is neurological problem, affecting the part of the human brain, responsible for sleeping. These patients can’t distinguish the time to sleep and to be awake and end up falling asleep at any time and place. This sleep may last for several seconds and up to an hour and when the person wakes he or she feels refreshed. However, patients feel sleepy very soon and fall asleep again. This condition is considered to be hereditary and these patients have been discovered to lack certain protein (hypocretin) in the brain and therefore suffer from excess sleep. Oxygen level around 70% because of chronic sleep apnea!